The Bratt Decor client has style and sophistication, and designing their baby's room is a wonderful way to express that style. 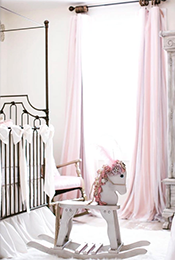 They consider every detail, do their homework, and make careful decisions to ensure their baby room is not only gorgeous, but safe. Chief among those thoughtful details is their baby bedding. 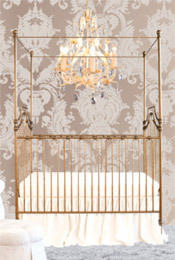 The crib bedding is so visible in the room and creates a serious design statement. Often, our clients want something completely original. They have a vision in their mind's eye that they've yet to find. 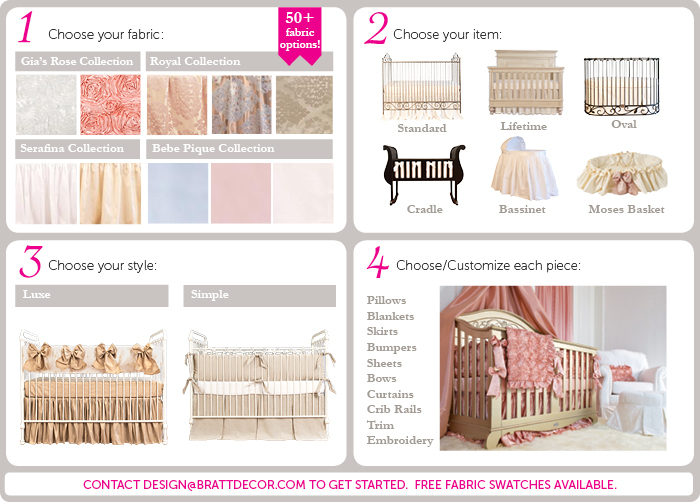 Bratt Decor understands that original spirt and offers everything needed to help design your very own crib bedding sets. You've got the vision, we've got the expertise. 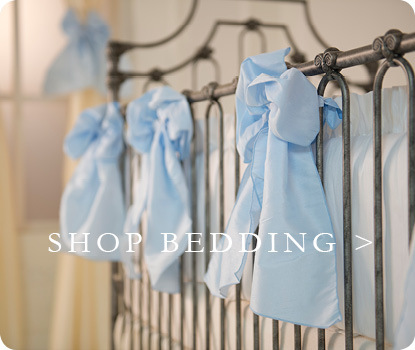 We offer custom bedding for cribs, cradles, bassinets, and moses baskets. 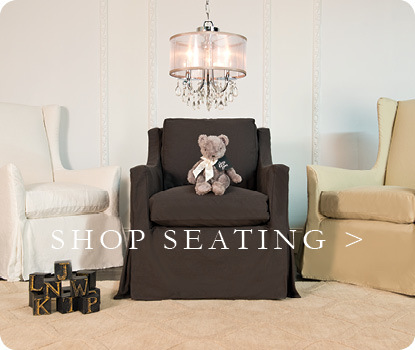 You can even add matching curtains and window treatments, pillows, blankets, monogramming, and more. Let's talk fabrics, style, budget, timeline, and custom details. Contact one of our design specialists today, and let's start making your dreams come true.